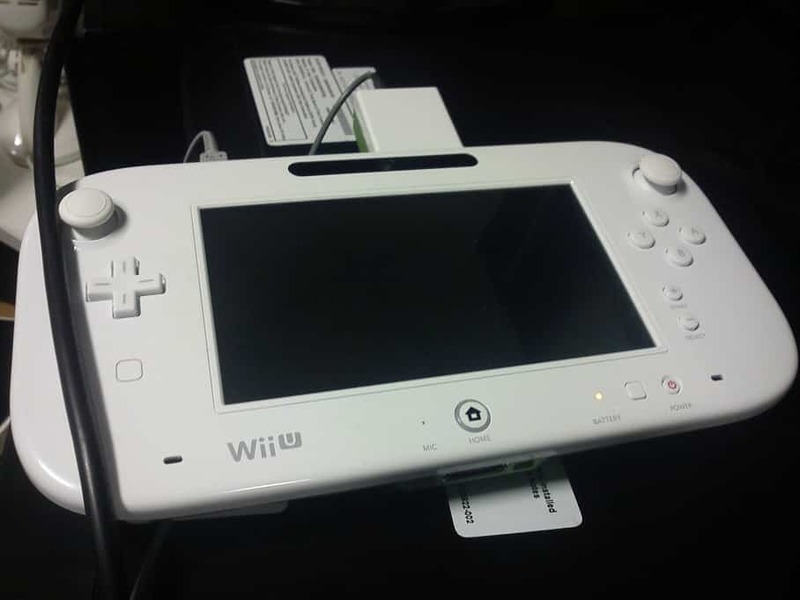 Merely two weeks before E3 2012 kicks off, a QA tester at Traveller’s Tales has seemingly leaked the revised version of the Wii U’s tablet controller. “Nintendo fanboys alert: look what we have at work! #BoysAndTheirToys,” the employee tweeted, soon realising his error and deleting his account in a futile attempt to cover his tracks. Whilst not drastically different to that unveiled by Nintendo last year, there are noticeable alterations. Most significantly is the removal of the dual Circle Pads, first introduced with the Nintendo 3DS, which have been replaced by more conventional Analog Sticks. These will also, most likely, be clickable, a control input readily used by third-parties whose omission would be a sore error. The Wii U logo appears, signifying that Nintendo aren’t set to alter the brand name despite criticism from the press, and the ‘+’ and ‘-‘ buttons have shifted position. Lastly, two ominous white boxes (or buttons) have appeared, the lower of which presumably allowing the user to switch between where the main screen is displayed – on the TV or the controller. We’ll have to await E3 in two weeks to see whether this is the finalised design, however, which is why we’re marking it as a rumour for now.